The Borghese Villa and Park were created in 1613-15 by Vasanzio for Cardinal Scipione Borghese, nephew of pope Paul V. He was the patron of Bernini and the greatest art collector of his time: the Villa was meant to house its incredible collection of works of art. Also known as Casino Borghese, meaning summer pleasure house, it was never intended to live in. 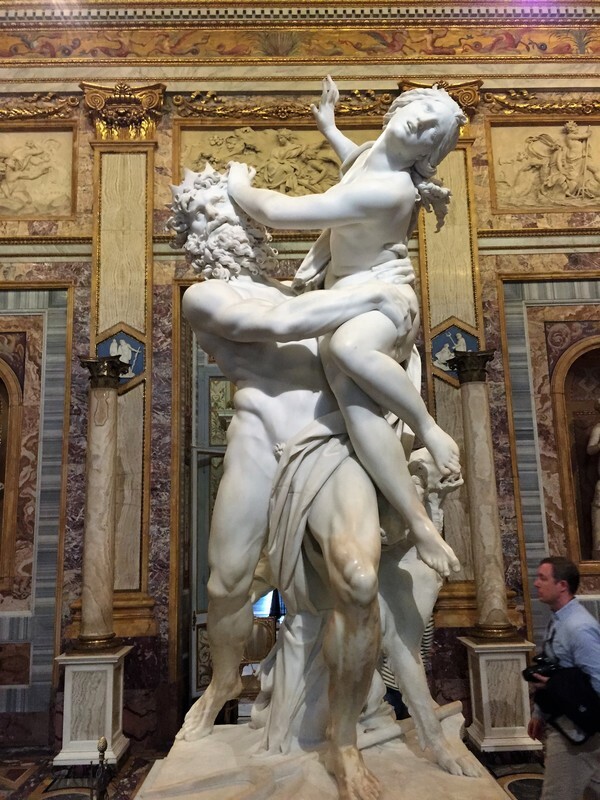 The collection of sculpture and paintings of the Borghese Gallery is second only to that of the Vatican; you can admire amazing sculptures by Bernini and Canova and the greatest paintings by artists such as Raphael, Titian, Domenichino, Rubens and the widest display of Caravaggio's masterpieces. t’s a not to be missed sight and an unforgettable experience for art lovers. The Villa architecture is perfectly harmonized with its surrounding gardens, probably Rome's most beautiful city park. In 1901 the Villa and the Park were acquired by the Italian Government who donated then the park to the city of Rome. ​The walk to the Pincio is enchanting and the view from the Pincio terrace is one of the best in town.